Piher Sensors & Controls has introduced the MTS-360 Mechanical Mount Rotary Position Sensor with integral PCB for fast and easy mounting. Designed with the sensor directly mounted onto a PCB, the innovative MTS-360 Sensor/PCB Combo package allows engineers to easily install a fully featured rotary sensor without first having to design a printed circuit board for the sensor. The result is time-savings and convenience. Pricing for the MTS-360 Sensor/PCB Combo package is priced in volumes from $5.65 per unit with delivery in two to six weeks, depending on options. 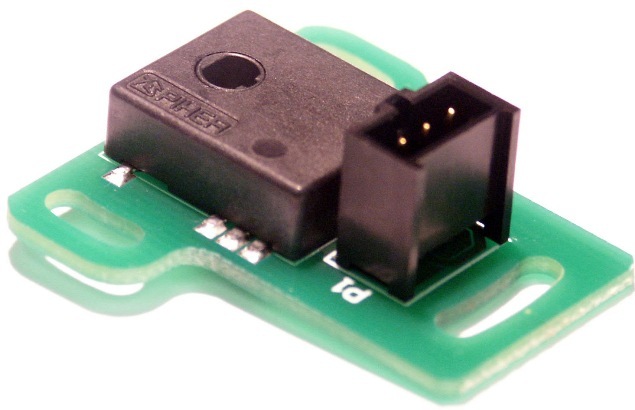 The original MTS-360 Sensor in SMD form remains available as a standard product offering. For complete details and sample availability, please contact paul.cain@meggitt.com at +1 949 375 5975 (PST) or steven.helker@meggitt.com at +1 (262) 443-5704 (Central Time Zone). For a complete product overview please visit www.piher.net.